This pouch is amazing! It doesn't take too much space in my belt-- which also mean that I don't need to reach all the way to my back to get my last magazine. It's lightweight and it's very stable. I can run freely without worrying about my mags falling off. Great product. I have 7 on my belt that takes up less space than 4 parallel pouches. Very well made, very quick. The Single Stack Racer Pouch work's perfect and keep your magazine in tight place on your belt. I'm buying more soon. Nice and neath pouches for single stack magazines. Easy to mount and adjust, and looks to have the right quality for long service duration. These are the ticket for USPSA Single Stack. They work great without having to worry about spacers. I love mine. Best holster for your single-stack/1911 needs. When its locked onto the belt its not moving, period. 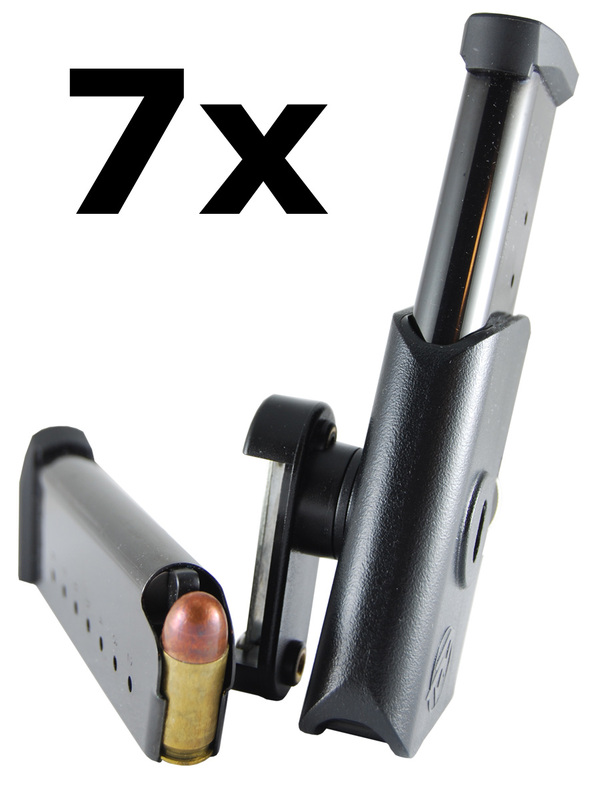 I love the design and retention adjustment that allows for a larger variety of single stack magazines. The Single Stack Racer Pouch work very well and keep your magazine in tight place until you easily draw them out for mag shift. Neat size and no details that makes it hooking up to stage interior and other shooters equipment - really fit for purpose. Super Produkt, wie immer eben für Schützen gemacht die diese Produktequalität schätzen. Enjoy over 5% off of these fantastic Single Stack Racer pouches. It has come to our attention that some manufacturers are shortening the front to back length of their tubes for the 9mm calibers – and these will not work in our single stack pouches!